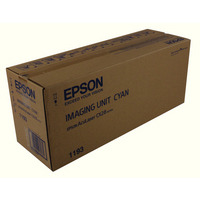 Epson M4000 Return Imaging Cartridge C13S051173 Pack of 1 Imaging cartridge to ensure the quality of your prints. Provides clear results and high definition. Page yield of up to 20,000 pages. 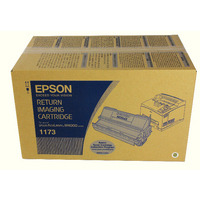 For use with the Epson M4000 series. Return programme for environmental sustainability. 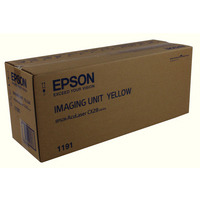 Epson AcuLaser CX28DN Yellow Imaging Unit 30K C13S051191 Pack of 1 Epson Photoconductor Unit Yellow. For use in CX28DN series printers. Approximate page yield: 30,000. OEM: C13S051191. 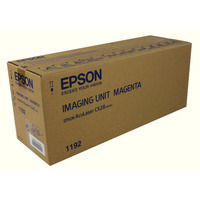 Epson AcuLaser CX28DN Magenta Imaging Unit 30K C13S051192 Pack of 1 Epson Photoconductor Unit Magenta. For use in CX28DN series printers. Approximate page yield: 30,000. OEM: C13S051192. Epson AcuLaser CX28DN Cyan Imaging Unit 30K C13S051193 Pack of 1 Epson Photoconductor Unit Cyan. For use in CX28DN series printers. Approximate page yield: 30,000. OEM: C13S051193. 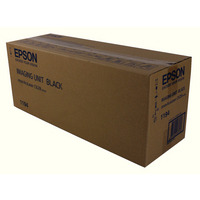 Epson AcuLaser CX28DN Black Imaging Unit 30K C13S051194 Pack of 1 Epson Photoconductor Unit Black. For use in CX28DN series printers. Approximate page yield: 30,000. OEM: C13S051194.